The Jonny Gold Trio swings hard through the classic tunes of the great American songbook. We are a jazz trio/duo that plays jazz standards, ballads, latin jazz and blues. We bring a professional attitude and aim to add vibrant elegance to any event. We are available as a trio (piano or guitar, bass, drums) or as a guitar duo. The band plays music written by artists such as Duke Ellington, Miles Davis, and Antonio Carlos Jobim. If desired the band can also perform as an instrumental funk trio to provide a more upbeat feel towards the end of the night. The band specializes in performing at weddings, receptions, parties, cocktail hours, holiday parties, business events, fund raisers. We look forward to performing at your event! The trio's jazz music was a wonderful addition to our retirement celebration. We loved having Jonny Gold Trio band perform for the second time at a corporate event. The attendees loved the band and even reached out to me to ask about scheduling them in the future! Super professional and very talented group! The band was great to work with. In the planning stages, they were pleasant and very responsive to questions & planning requests. At the event, they showed up on time and prepared, were friendly, and their jazz was a perfect fit for our corporate event. Their music set the right tone, it brought a certain energy and ambiance to the event without overpowering conversations, and was in line with the professional setting of the event. I would hire this group again in a heartbeat, and highly recommend them to others. I hired the Jonny Gold Trio for a corporate function with 130 guests from the California Governor's and legislative offices as well as many leaders of state's affordable housing agencies. I was very happy with the professionalism and talent of the group. They played at the perfect volume and set a great ambiance for the event. 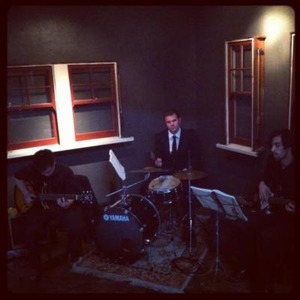 I recommend Jonny Gold Trio for any corporate and formal event. Five Stars all the way! I recently hired Jonny Gold Trio to perform at an open house celebrating my company's grand opening. I can't even tell you the number of positive comments I received about their performance! Definitely a hit with the attendees. The guys were professional, courteous, communicative and extremely accommodating. I will definitely book Jonny Gold Trio again! Their music was appreciated by many of our wine club members who told me how much they liked the music. They provided great background music in our elegant barrel room and made it possible for people to drift into and out of the room as the evening progressed. One song in particular got people unconsciously swaying back and forth to the rhythm of the music. I would definitely recommend them for people seeking a jazz group. Having a drummer instead of backing tracks was a nice touch and not overpowering for the space in which they played. I can't say enough about the Jonny Gold Trio. They were very professional. They arrived early enough to get set up and asked us if there were any special requests. They scaled their volume to the venue and struck just the right balance in their set selection. Any they are very talented. Many of the guest commented on how great the music was. I highly recommend the Jonny Gold Trio. The Jonny Gold Trio is the BEST!! Showed up for our Jazz Night early to set up and performed during our dinner. Very well received by our residents and we will definitely be hiring them for our next party. Please note Jonny Gold Trio will also travel to El Macero, Dixon, Sacramento, West Sacramento, Woodland, Broderick, Clarksburg, Winters, Yolo, Hood, Madison, Elmira, Represa, Rio Linda, Elk Grove, Vacaville, Courtland, Elverta, Esparto, East Nicolaus, Knights Landing, Zamora, Nicolaus, North Highlands, Antelope, Carmichael, Pleasant Grove, Robbins, Walnut Grove, Capay.